This is a tale of power, politics, deceit and injustice. 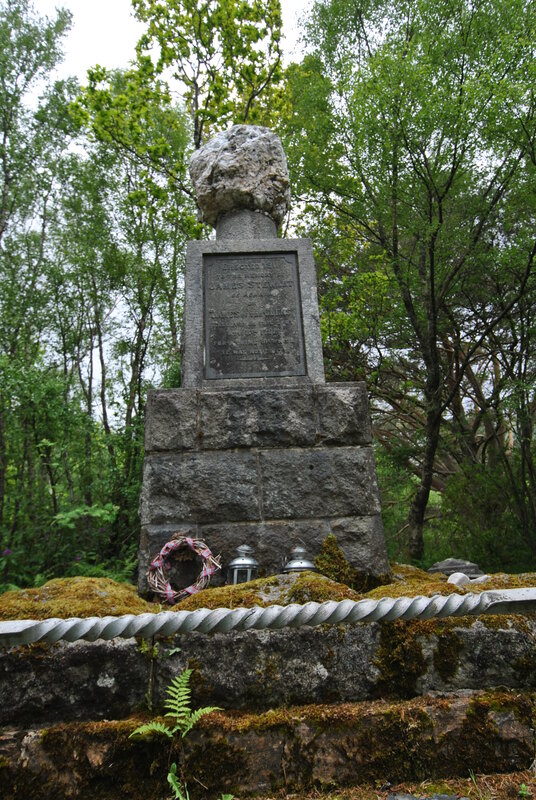 This gruesome tale is true, some parts will never be brought to light but many say The Appin Murder is one of the biggest if not the biggest miscarriage of justice in the history of Scotland. The law made James of the Glen a murderer, legend made him the victim. 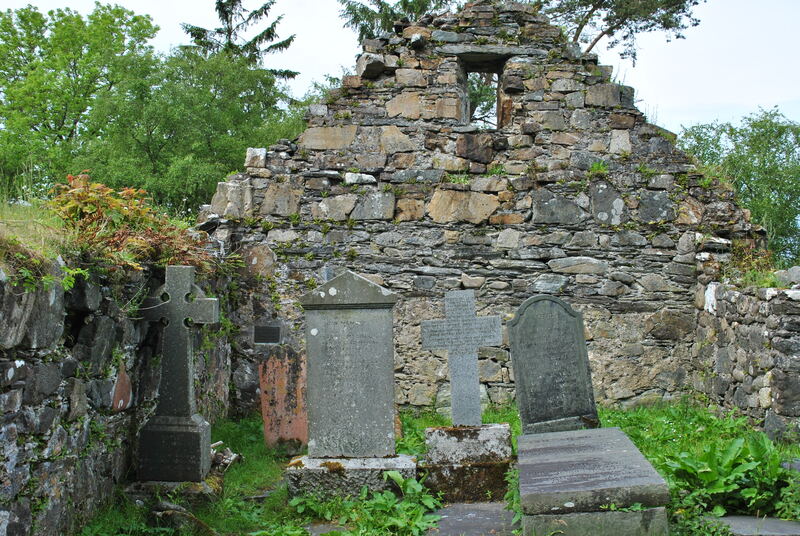 His bones rest in the old graveyard of Keil in Appin. Ballachulish on the shores of Loch Leven, November 8th 1752. On the little hillock above the pier of the ferry (today a bridge connects the two shores) a gallow has been erected. The 50-year-old James Stewart, also known as Seaumas a’ Ghlinne, James of the Glen, faces death on this very spot. He was hanged for murder. A murder he very probably did not commit. So the alleged murderer was murdered. James of the Glen was a quiet and well liked man, he was educated, could read and write in both Scottish languages, he was married to his cousin Margaret and had at least 3 children with her. 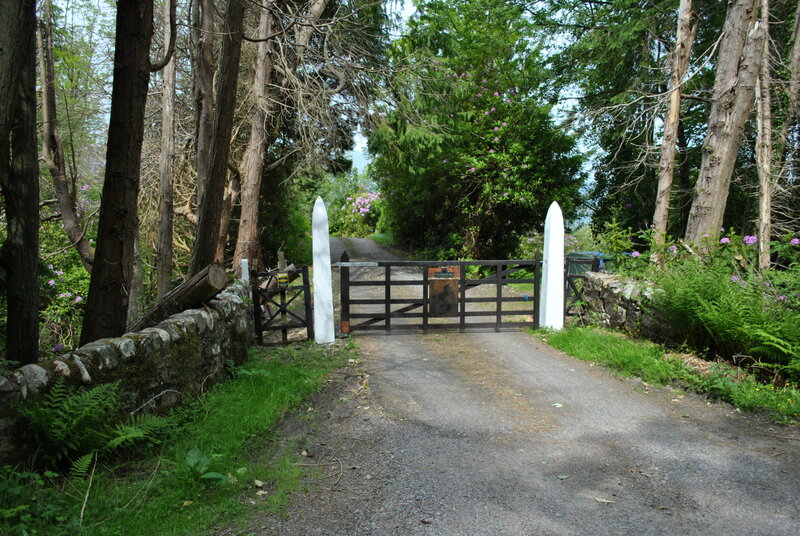 The family lived on a farm in Glen Duror, a few miles South of Ballachulish, where he met his untimely end. He had fought on Culloden field, survived the uprising only to be killed at home. James of the Glen was a Stewart of Appin and a Jacobite. The Campbells were Hanoverians and in the process of clearing as many Stewarts off their lands as possible. James of the Glen and Colin Campbell, a land agent they called “The red Fox”, had had a fight over the evictions in a pub that had been witnessed by a number of people. 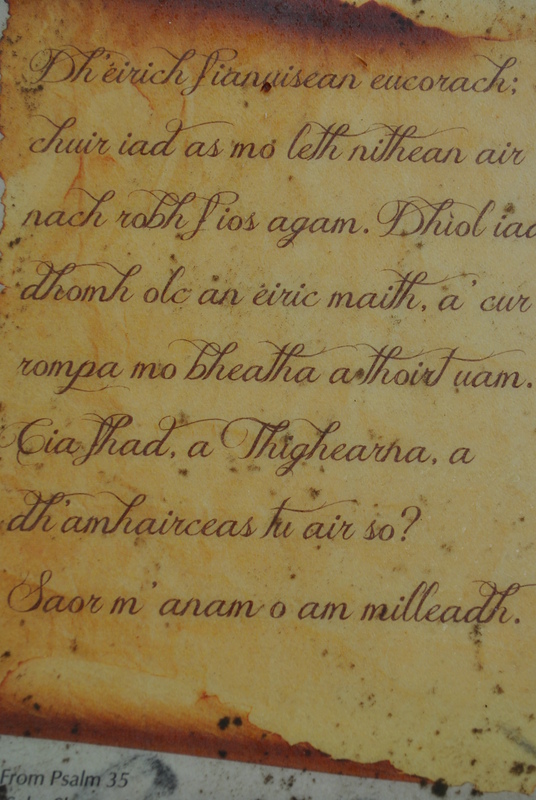 Campbell carried eviction orders when he was shot on his way to Duror on May 14th 1752, a few days after the pub brawl. A man holding a musket had been seen disappearing into the woods. But who was that man? 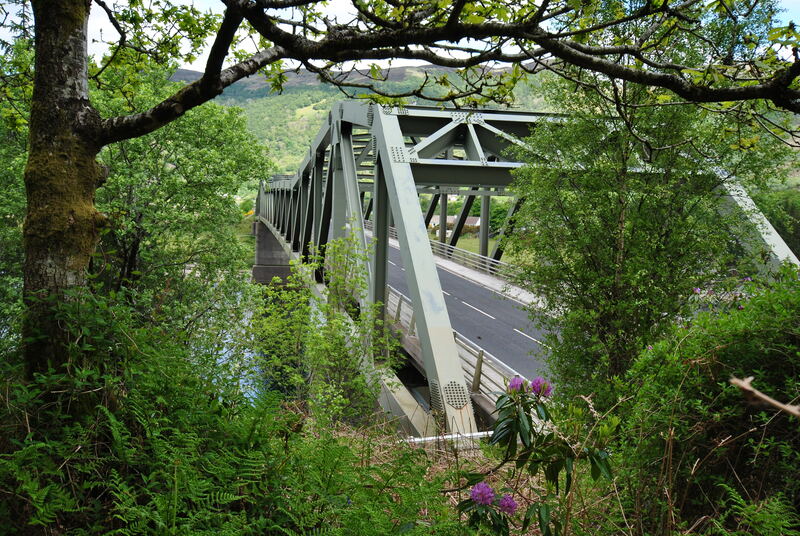 Alan Breck, foster-son of James of the Glen,was the most obvious suspect and his foster father was accused of having taken part in the killing. Breck fled to France so James of the Glen was taken prisoner and was not allowed any legal support until 36 hours before his trial. The judge was the duke of Argyll, chief of the clan Campbell, 11 of the 15 jurors were Campbells as well. Justice was no blind, it was prejudiced and James of the Glen stood no chance. He never really defended himself either, but probably not because he was guilty but because he did not want to involve any of his kinsmen. They hanged him, put iron chains around his body and kept it hanging on the gibbet for three years. 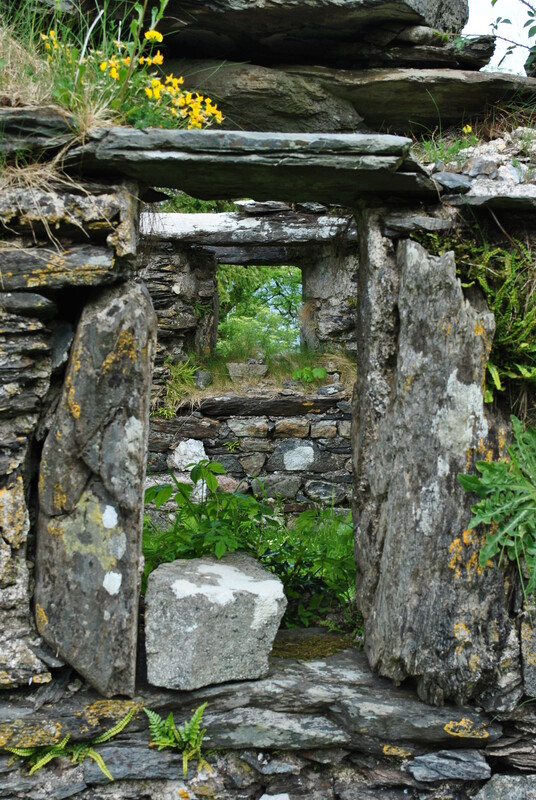 His bones were collected as they fell down and together with his wife Margaret laid to rest on Keil churchyard, the church already a ruin by that time. 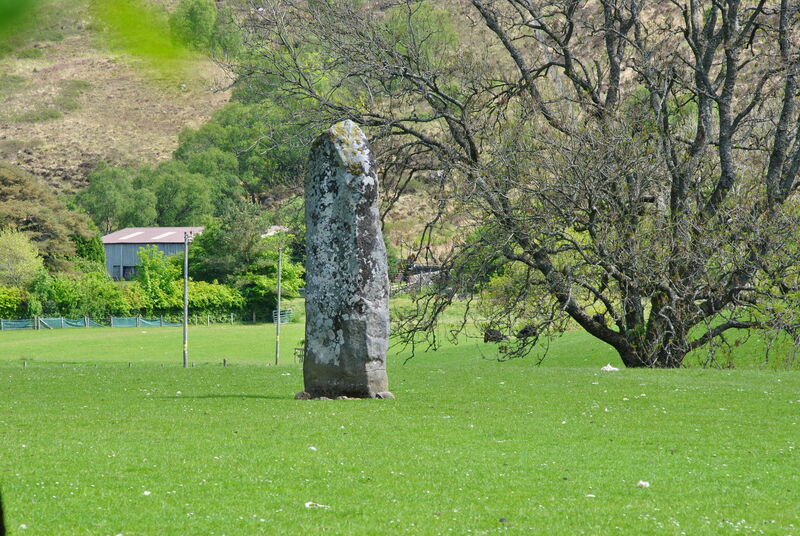 The murdered Colin Campbell was buried in Ardchattan Priory (blog post will follow soon). 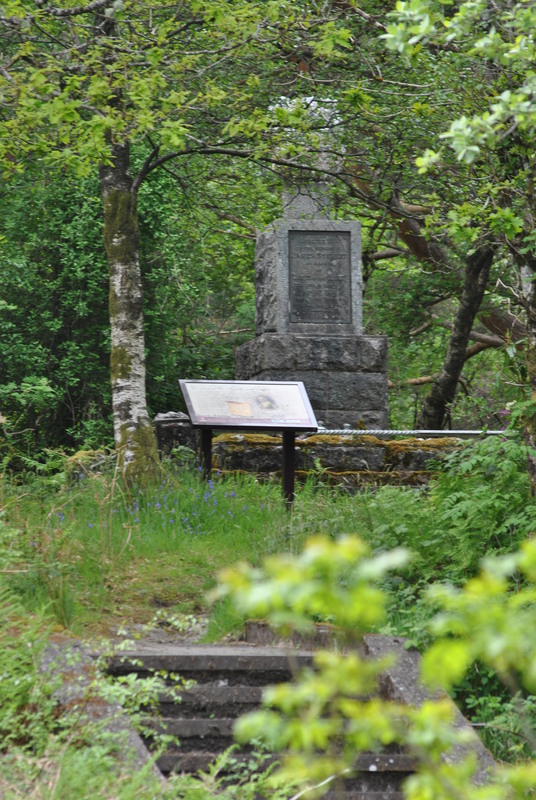 The memorial is hidden amongst the trees above the bridge at Ballachulish, Keil graveyard lies on the grounds of a working farm, both are not signposted and parking is difficult.